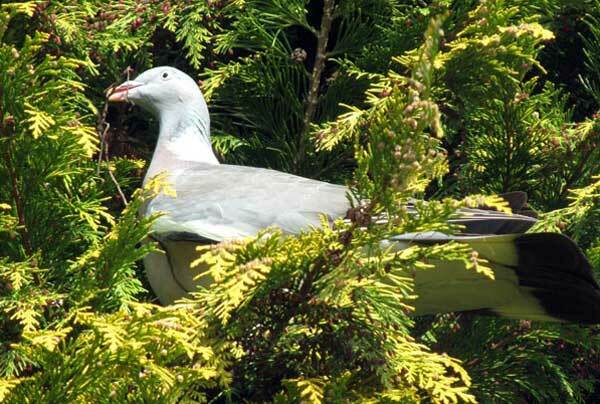 This pigeon landed in a tree in Bicclescombe Park in Ilfracombe, North Devon, looking very pleased with himself. He had a twig or something similar in his beak, possibly nesting material. He seemed to think he could not be seen, but I had my camera . . . 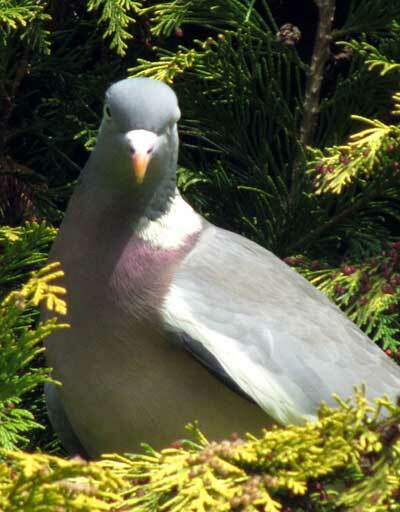 I think he spotted me and didn’t look very pleased . . .
. . . but he was up in the tree and I was on the ground where no one could reach him. I took his photo, thanked him, then walked on. Posted in wild and gardens. 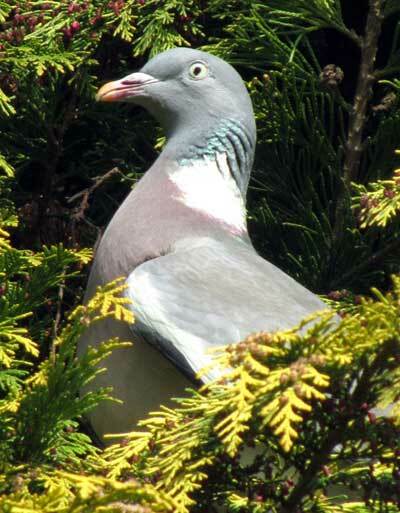 Tagged with Bicclescombe Park, Ilfracombe, North Devon, pigeon.